The Azerbaijani authorities' stance on the Nagorno-Karabakh (Artsakh) peace process threatens a failure in the attempts to renew negotiations, according to Tigran Abrahamyan, an advisor to President Bako Sahakyan of the Nagorno-Karabakh Republic. In an interview with Tert.am, he shared his comments upon the upcoming meeting between the Armenian and Azerbaijani top leaders, highlighting the urgency of returning Artsakh to the negotiating. In his words, Azerbaijani President Ilham Aliyev's statement that such a return would lead the process into a deadlock is a message to the international community aiming to blame Armenia for future possible failures. "Azerbaijan's stance frustrates the efforts towards renewing the talks. So they are safeguarding themselves against a failure," he noted. Abrahamyan said he also thinks that the kind of groundless stereotypes - devoid of any logical justification - led to the heavy fighting along the frontline in April 2016 (the four-day war). "Azerbaijan not only torpedoed the negotiations but also opted for a military solution. Also, over the recent period, they keep insisting on such a military solution, highlighting it furthermore as a priority trend on their agenda," he added. Commenting upon the OSCE Minsk Group co-chairmanship's recent statement, Abrahamyan agreed that their calls for peace are perceived differently in Armenia and Azerbaijan. 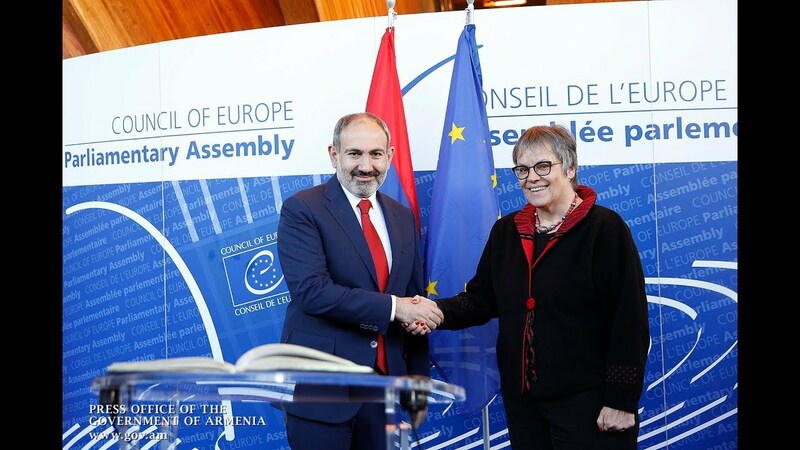 "The appeals which the [international] mediators make - to prepare the two peoples for peace - are perceived differently in Armenia and Azerbaijan. The mediators have a great deal of work to do in Azerbaijan when it comes to preparing the societies for peace. Armenophobia there starts from educational institutions, i.e. - on the level of basic education ... Hence that being the case, it would be advisable for the mediators to intensify their efforts towards preparing the Azerbaijani society for peace," he added.